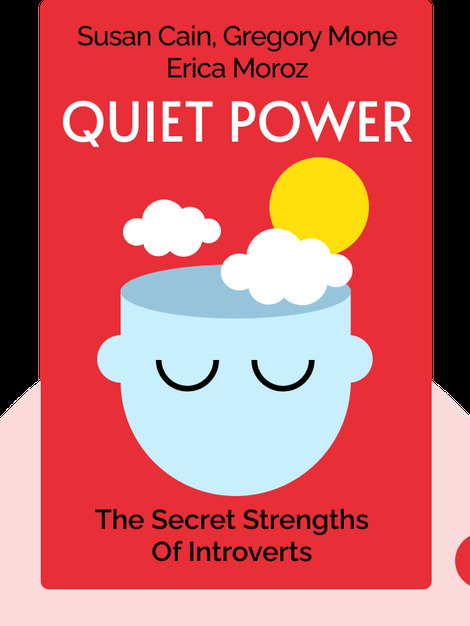 Quiet Power (2016) explains why adolescents struggle with introversion and explores how an aversion to socializing can make it challenging to form friendships, complete schoolwork and fulfill social obligations. These blinks offer a number of different techniques that introverts can use to make these situations bearable and turn their so-called weakness into a straightforward advantage. 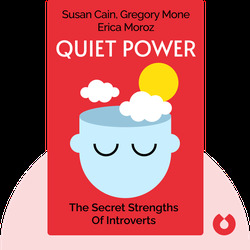 Susan Cain is a former corporate lawyer and the cofounder of Quiet Revolution, a mission-based company that works to unlock the great potential of introverts. Cain is also the author of the best-selling book, Quiet: The Power of Introverts in A World That Can’t Stop Talking. Erica Moroz is a journalist and frequent contributor to the American Reader, a literary magazine. Gregory Mone is the author of several children’s books with subjects that range from Santa Claus to the Titanic.